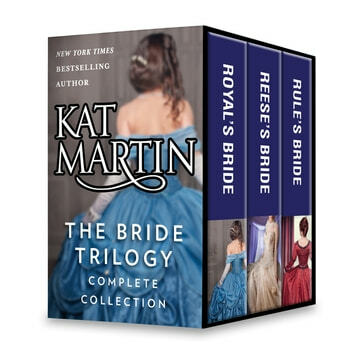 Finally available in one complete box set collection, dive into the opulent and exciting world of the Bride Trilogy, three classic Victorian romances by New York Times bestselling author Kat Martin. Wounded in battle, Major Reese Dewar returns to England—but his injuries are nothing compared to his shattered heart. Unrepentant rake Rule Dewar is living the good life when a most surprising event occurs—he falls in love with his wife.